Nepal favors talks between India and Pakistan! N.P. Upadayaya: If the US President Donald Trump can meet North Korean leader Kim Jong-Un, why not India and Pakistan could mend their differences and allow the stalled SAARC meet to resume its regular activities? This is what Nepal’s Foreign Minister Pradip Kumar Gyawali had to say when he landed in the Indian capital only few days back. He made the statement after attending the RAISINA dialogue held in Delhi, recently. To recall, since 2016, the SAARC regional body remains in a dormant state. Instead, India has been encouraging BIMSTEC, the Bay of Bengal Initiative, by killing the SAARC. Candidly speaking, India wants to isolate Pakistan-a country which in a matter of few years is sure to become a ‘game changer’ in this greater South Asian landmass thanks due to the CPEC-the joint initiatives taken by Pakistan and China. Nepal needs SAARC very much because it attaches great significance and importance to this regional body as one of the founding fathers . Then question is how dare Pradip Gyanwali- who represents an excessively corrupt and an anti-National/pro-India government in Nepal ask such a question against the Indian regime? Pakistan also needs SAARC but the Islamic State has several options under its sleeves. India’s one point agenda is to malign Pakistan in the comity of nations. The issue is Indian ruling elites very well understand the fact that Pakistan is the only country in the region that has the potential to compete with India in both Military and Economic fronts. Thus India is jealous of Pakistan. It is this Indian arrogance and myopic vision that has forced countries and people in this part of Greater South Asia, although culturally closer to India prefer closer ties with the Chinese regime. The idea is to live with a lesser evil than a born expansionist devil. 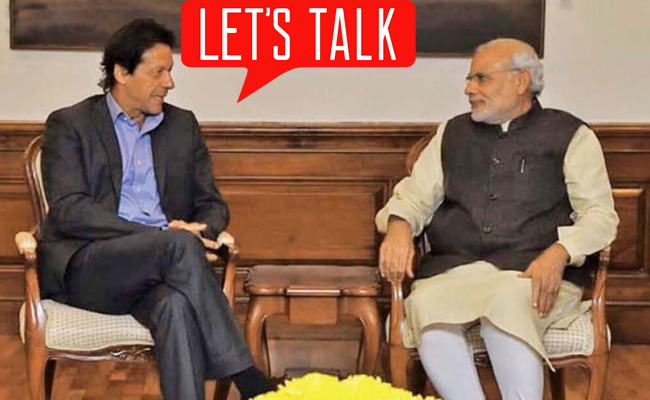 On the other hand Pakistan’s Prime Minister, Imran Khan, prefers an amicable relations with India and wants the overly stretched Kashmir issue to be resolved once and for all. Prime Minister Khan is on record to have made several proposals to India and the latest being while inaugurating the Kartarpur Sahib road for the easy and problem free passage for the Indian Sikhs to enter into Pakistan in order to pay the highest respects to Guru Nanak Sahib. Allegations are also there that the United Nations too has been influenced by the Indian regime for not having taken up the Kashmir issue as is being repeatedly appealed by Pakistan in a way that the settlement of the ongoing conflict deserved. The United Nations Secretary General Assembly President Maria Fernanda Espinosa is soon to land in Islamabad. A glimmer of hope. The question that the United Nations need to answer is for how long India can continue to kill youths in Kashmir? Or, is that the Muslims do not have human rights? And, while opening of the Kartarpur corridor has pleased the Indian Sikhs, on the contrary the Indian government in New Delhi takes this initiative could be well used and over used by the Pakistani establishment for encouraging Sikhs in India and abroad to step up the Khalistan movement that is very much kicking and alive. The fact of the matter is also that this route could very well be used by the Indian government for exporting a few more militants like Kulbhusan Yadav into the Pakistani territory with turbans in their heads. Yadav is a RAW functionary operating in Pakistan’s Balochistan province. His primary task was to hurt China funded projects in Balochistan. He was later arrested by Pakistan’s security officials. India is also funding separatist movement in Balochistan. Nepal has terrible experience with the Indian RAW functionaries under several incarnations. The fact is South Asian political stability much depends on early and final resolution of lingering Kashmir issue, this is how the matter stands today as both the adversaries possess nuclear weapons. The nuclear threat looms in South Asia indeed. Nepal’s anxiety is logical. Now let’s have a look into the new developments taking place in this region including Pakistan which has been struggling with the financial crunch. In a fresh political development, the Saudi Kingdom has come to the rescue of Pakistan. Saudi Arabia is set to become “an important partner of China-Pakistan Economic Corridor (CPEC)”, a Pakistani minister said over the weekend as Riyadh confirmed that the Gulf kingdom will build a mega refinery in Pakistan’s deep water port of Gwadar, which is being developed with funding from China, reports news sources from China. An agreement for USD 10 billion refinery will be signed by both the governments during Saudi Crown Prince Mohammed bin Salman’s forthcoming visit to Islamabad in February, Saudi Energy Minister Khalid al-Falih said on Saturday after leading a delegation to the site of the proposed refinery in Gwadar in Pakistan’s southwestern Baluchistan province, adds the same Chinese news source. “Saudi Arabia wants to make Pakistan’s economic development stable through establishing an oil refinery and partnership with Pakistan in the China-Pakistan Economic Corridor,” Falih, who is also chairman of the Board of Saudi Aramco said, adding that Saudi Arabia would also invest in other sectors. The two countries discussed cooperation in refining, petrochemicals, mining and renewable energy, the Saudi news agency SPA reported. The Saudi engagement in the CPEC could well be taken as the Saudi Arabia’s deep friendship with Pakistan. This timely help from Riyadh has not only eased the financial crunch of Pakistan but shall allow the Gulf Kingdom also to gain from the CPEC as against the sizable chunk of investment that it has already committed. Notably, during PM Imran Khan’s visit to China, the leadership of both countries had reaffirmed their complete consensus on CPEC’s future trajectory, the timely completion of its ongoing projects and the expansion of mega projects. Correspondingly, the 8th JCC meeting on last December 2018 concluded successfully, with the resolve “to make CPEC the heart and soul of mutual cooperation and take it forward to the next level” wherein cooperation can be diversified to further trade and industrial cooperation, socioeconomic development, agricultural modernization, the development of the maritime sector, people-to-people interaction and knowledge-sharing under the ambit of the vision set by their respective governments, say media sources. A recent study conducted by CPEC Centre of Excellence, Ministry of Planning, Development and Reform of Pakistan showed that indirectly, CPEC could help create even 1.2 million jobs under this project. In order to promote economic development of Pakistan, Chinese companies also outsourced a large number of projects to local Pakistani companies, said a report in Express Tribune. This also develops relevant upstream and downstream industries, such as raw material processing and catering industry which also provide more employment opportunities for the local people, the report noted. In yet another political development, the former US Ambassador to Pakistan Cameron Munter this Sunday, Karachi, said President Donald Trump and Prime Minister Imran Khan “may find some sort of common ground” if and when a meeting is held between the two leaders. Addressing an event organized by the Karachi Council on Foreign Relations, the former US envoy said Trump and Khan are in power because they both have “very good political sense”. “They have the fingertip feeling, as we say, they’re very clever with people,” he said while speaking at the event, ‘Brunch & Conversation with Ambassador Cameron Munter’, held at Karachi’s Movenpick Hotel. Now for the Road: Pakistan by approaching Saudi Arabia for assistance in easing out its financial crunch with the CPEC projects has in many more ways than one done a marvelous job by not identifying itself with China. Excessive reliance on China perhaps will not that be good for Pakistan for several political reasons. That’s all.